Whether you’re an empty-nester looking to downsize, emptying the man cave, making room for a new addition to the family or simply wanting to pack some things away for a while, we have the space for you. Our warehouse has 24/7 high-level security. Our storage warehouse is temperature stable preserving your possessions in optimal conditions. Our modular units let your belongings breathe, reducing the likelihood of mould and mildew damage. We offer discounts for storage periods of 6 months or more. We welcome warehouse inspections prior to storage hire. We can also take care of the packing process and all removals in Sydney. 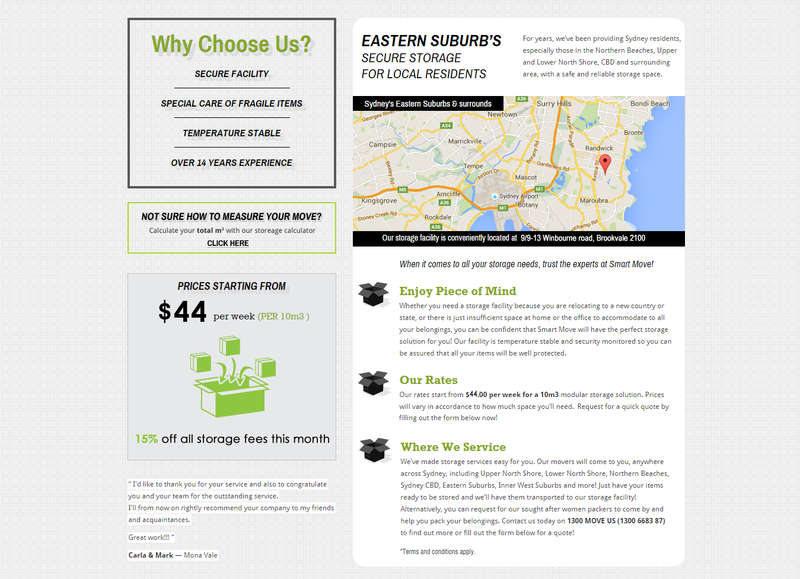 Smart Move has the capacity meet your storage needs, wherever you are in Sydney!